Today I am so pleased to welcome Katie as a guest blogger on Be Brave, Keep Going. She is so creative and a joy to know and connect with. 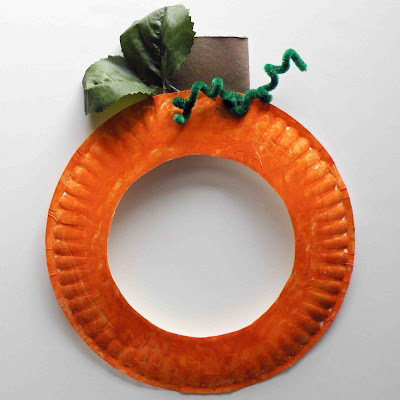 While this pumpkin craft is geared for the classroom, it's also fantastic to do at home, I hope you enjoy it as much as I do. This cute paper plate pumpkin mask is the perfect seasonal photo prop. It's fun to make and a great classroom craft. A set of class pictures with students holding up their masks look great on a bulletin board with the title "Welcome to Our Pumpkin Patch". 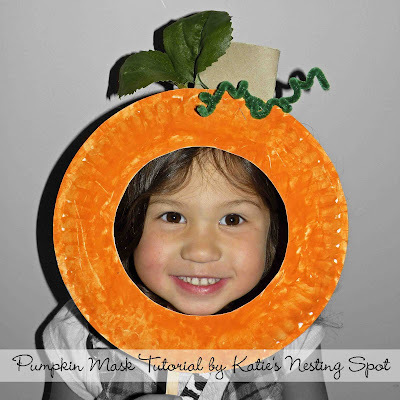 They are also good to use with a group to reenact popular songs like "Five Little Pumpkins". 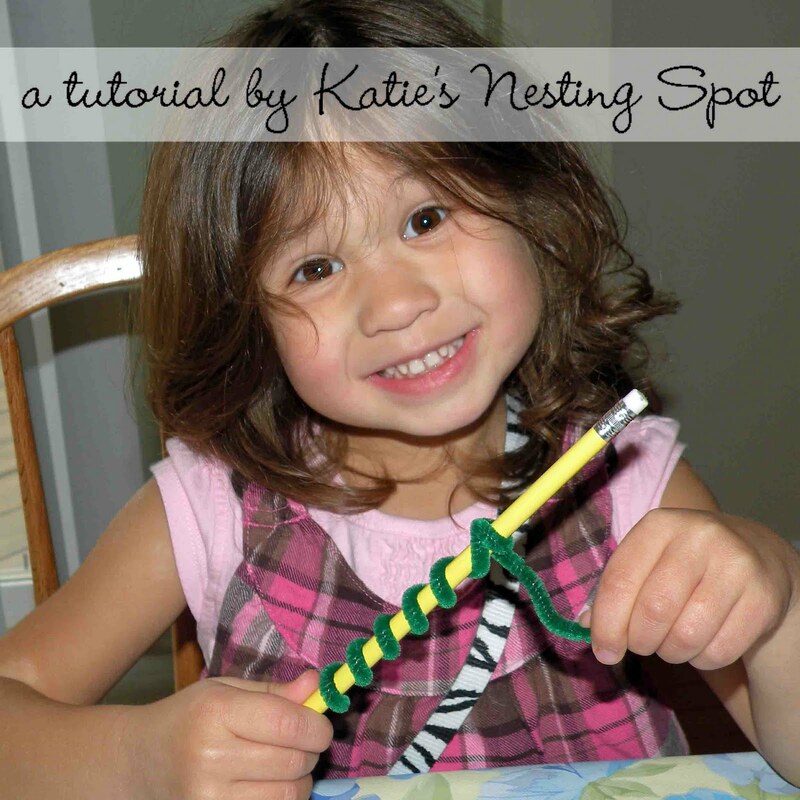 Step 3: Twist a green pipe cleaner around pencil and carefully slide off. 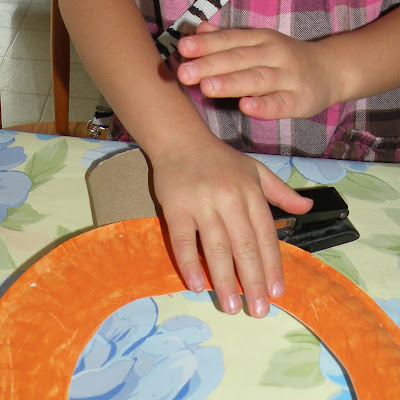 Position your "vine" and staple onto plate near toilet paper roll "stem". Position and staple on silk leaves or use green craft foam to make some and attach. Step 4: Have an adult hot glue a tongue depressor to finished pumpkin mask. We used a Popsicle stick but it really needs to be bigger to support the mask in place. You can also punch a hole on the left and right side and use yarn to tie your mask onto your face. Step 5: Hold up your mask and give the camera your biggest smile! Katie is the creative blogger behind Katie's Nesting Spot and the co-founder of ABC/123: A Learning Cooperative. Katie was one of my very first "blogging friends" and I look forward to maybe meeting her in person one day. Wow!! That is absolutely darling!! Love this idea! That is so super cute! I love it. Hmmn, time to check the cabinets for paper plates! ER makes any craft so sweet! Such a great idea love it!! I am so glad you like it Michelle! It really is perfect during a pumpkin theme and a nonholiday related craft for the fall. Some of my student's parents reported using the mask as a prop for their Halloween pictures, that were enclosed in cards to grandparents. 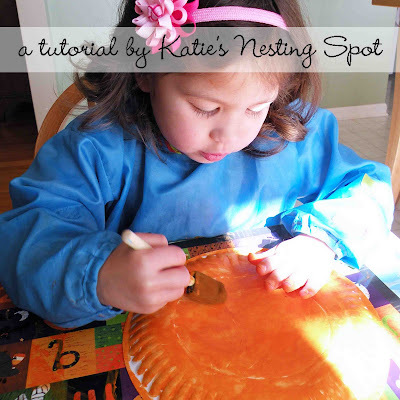 This project was always a big hit with the parents and kids! That is ADORABLE!!! I may just have to do that as a group craft! Wonderful idea! This is adorable I love it!! i knew i recognized that little pumpkin! great project, katie! Really cute! Those could be good picture frames too. I think I will use this for a contact paper suncatcher! Thanks! What a creative idea! I'm gonna make the same one later, tonight! My little son would be glad to help me with this project! Cheers!